The Missoula Mirror is a work of art on its own! The frame is fashioned from wood into a square shape. It is then finished in a dark espresso brown. 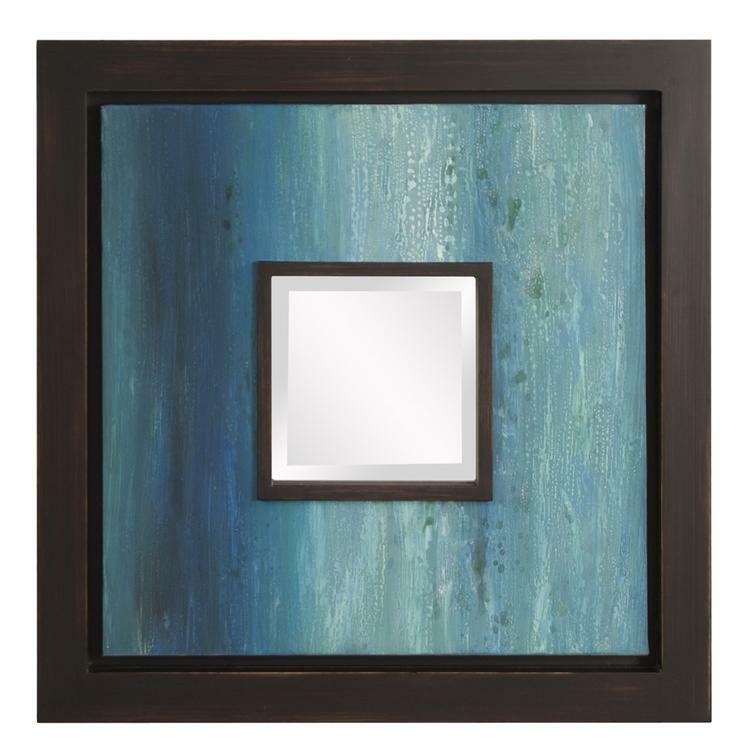 Set into the frame is a canvas that is hand painted with rich tones of blue. Inside of that is a small square mirror trimmed in espresso. The mirror is beveled adding to its style and beauty. It is a perfect focal point for any design. Also available in green. Customizable for larger orders.